There's a lot to consider when creating your ideal garden. Are you creating a sanctuary, a warm welcome, a family space, or a beautifully manicured, tranquil retreat? Our wide range of handcrafted garden accessories and outdoor decor - every piece proudly handcrafted right here in the USA - is designed to provide options for every kind of outdoor paradise, lifting the limit on your imagination and helping you to build the space that's just right for you and your household's needs. 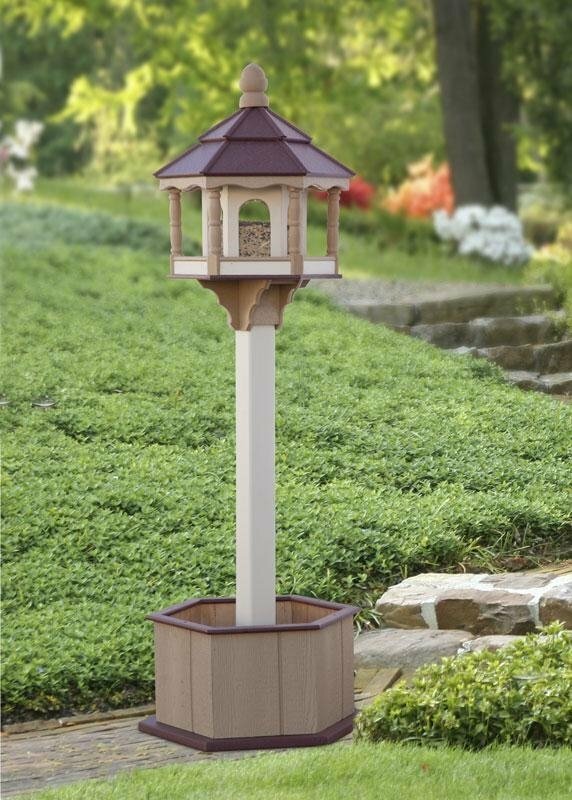 A best-seller: our Amish-made Poly Hexagon Bird Feeder. The bright colors and sweet scents offered by seasonal flowers bring new dimensions to almost any kind of garden decor. Whether planted in the ground, in raised beds, or in flower planters or pots, the spectrum of flowers available in most regions of the country is literally as wide as your imagination. Our hand-made flower planters, each one made from solid wood here in the United States, are designed to provide your flowers with well-drained, attractive places to call home for generations to come. Most of these versatile garden accents come with a wide variety of color options, bringing you closer than ever before to finding the perfect finishing touch for your deck, porch, or yard. 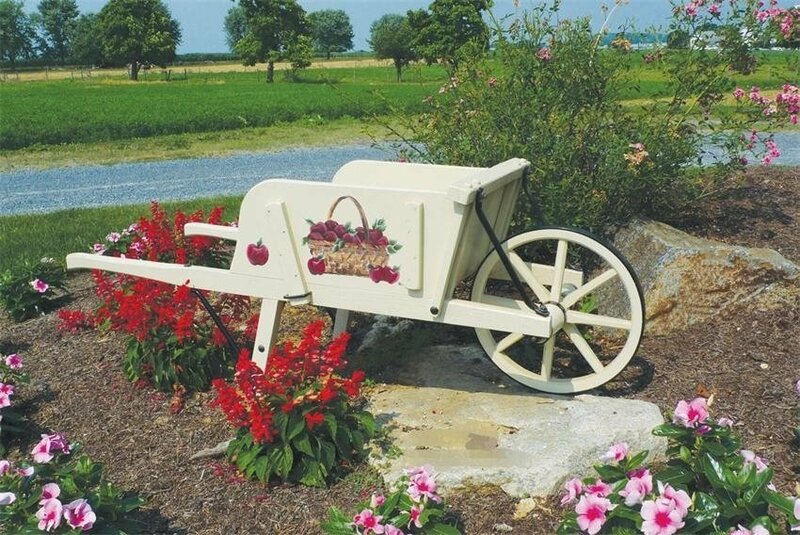 A beautiful planter wheelbarrow with a hand-painted apple motif. When it comes to the Amish way of life, there's one thing their unique culture excels at above all: keeping things traditional! Wishing wells, wheelbarrows, and wagons are hallmarks of the rustic beauty of the landscapes our woodworkers call home. Used together or individually, these signature accents add effortless country style to any deck, porch, or garden. 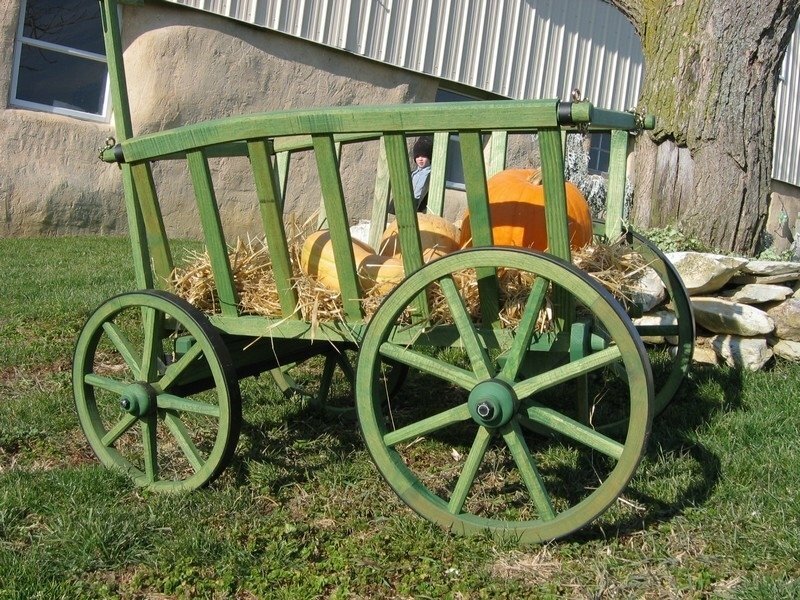 Our signature wagons are available in a huge range of sizes and styles, guaranteeing options for every style of garden decor. The woodshops that create these beautiful accents are ideally placed to cater to almost any custom design request, including paint colors, murals, and even engravings. Select models also offer a nylon harness for your dog, goat, miniature horse, or donkey - get the whole family in on the fun! A signature handmade wooden lighthouse. Bring the salty seas to your outdoor paradise with one of our beautiful lighthouses! Constructed from wood or recycled poly lumber, our lighthouses are available in a huge range of sizes. 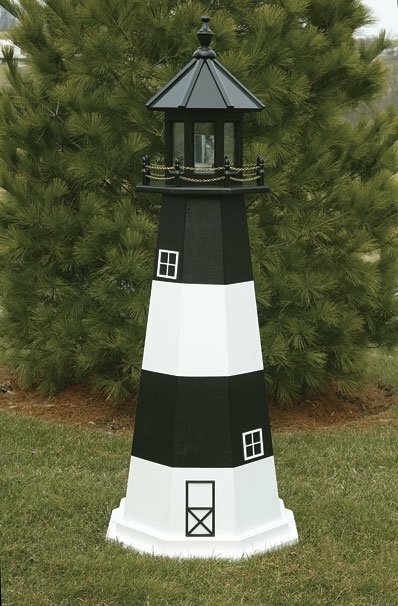 Many are modeled after specific lighthouses from across North America and the world - the Cape Hatteras Lighthouse in North Carolina, for instance, or the St. Augustine Lighthouse in Florida - and bring all of the beauty of those celebrated landmarks to your garden decor. Additionally, most models include an optional functioning light that spins, just like the real thing. We hope you enjoy building your perfect outdoor space. If you've got any questions at all about any of our products, please don't hesitate to give us a call at 866-272-6773 - we would love to hear from you!